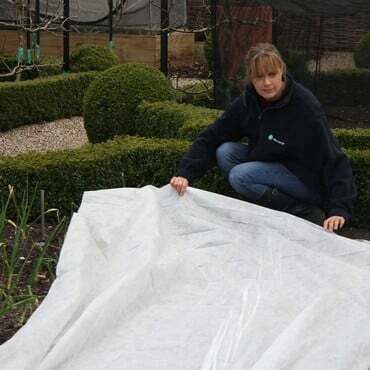 Now that we are well into May, we will be starting the Big Plant Out in Stephanie’s Kitchen Garden. 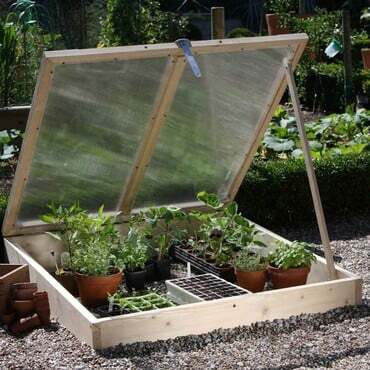 Our greenhouse and cold frame are crammed with tender crops such as runner beans, courgettes, squash, climbing french beans, sweetcorn, celery and celeriac all waiting to spread their roots into deep fertile soil. Normally by this time of the year, we would expect to be safe from all risk of frosts on the coast of East Anglia, however the weather is still a little unreliable and the night temperatures could still dip to levels that would damage our tender crops. Once they are in the ground we will keep a close eye on the forecast and pop a layer of fleece or a cloche on them should a cold night threatens. Planting out these crops will free up much needed space in the greenhouse which will allow us to pot on our aubergines, cucumbers, peppers and tomatoes into the large pots they will remain in all summer. 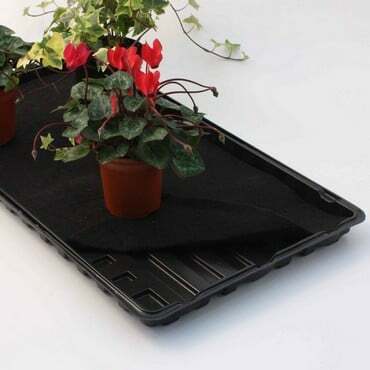 They will be placed on the greenhouse staging which will have a layer of capillary matting to help keep the atmosphere humid through the summer. Outside, we are ready to remove the covers from our peach trees. They have been nestled under cover to protect them from peach leaf curl, since December. 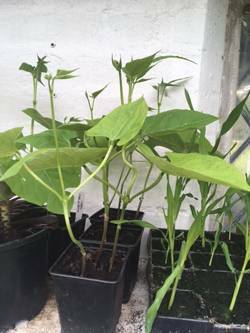 Now that their leaves are fully formed they can be uncovered. The covers will be packed away ready for next winter. We have lots of baby peaches forming and are hoping for a good crop this year. And through all the busy work, we will still be making time to keep up with the watering as we still have no sign of any significant rain on the forecast.